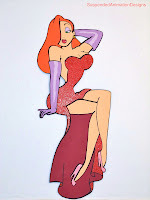 The Jessica Rabbit calendar series finished with no big fanfare, or even an announcement. The last two pins released had not been noted on the Disney Soda Fountain Facebook page. The pins were released on Monday December 23rd 2013 and as with the rest of the series are a Limited Edition of 300 and sold for $16.95 each. The usual quarter shot of Jessica Rabbit is on the front of the calendar. The background is a red glitter fill. Jessica's original signature is on the right of the pin. The inside shows Jessica Rabbit celebrating Christmas in front of the tree and holding a large stocking filled with presents. She's wearing a long, flowing red glitter filled gown with white trim and white gloves. The background is white and reads Happy Holidays. The bottom half has the month of December printed on, the days of the week, and the full dates for the month - made like an actual calendar. Christmas is indicated with a candy cane on the calendar. As always, this was a surprise release with no set or scheduled date known to the public. 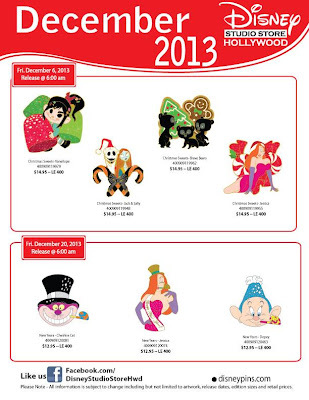 The Roger and Jessica Rabbit New Year 2014 pin was released on December 24th 2013. 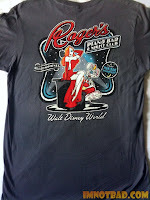 It is a Limited Edition of 250 and sold for $14.95 each, however this was a WDI exclusive sold only to Disney castmembers. It is a dangle pin, featuring Roger and Jessica Rabbit sitting atop a sliver glitter filled New Year's ball. Roger is dressed in a tux and Jessica is in her usual dress and wearing a sash. Below them reads Happy New Year and the dangle portion is the year 2014. 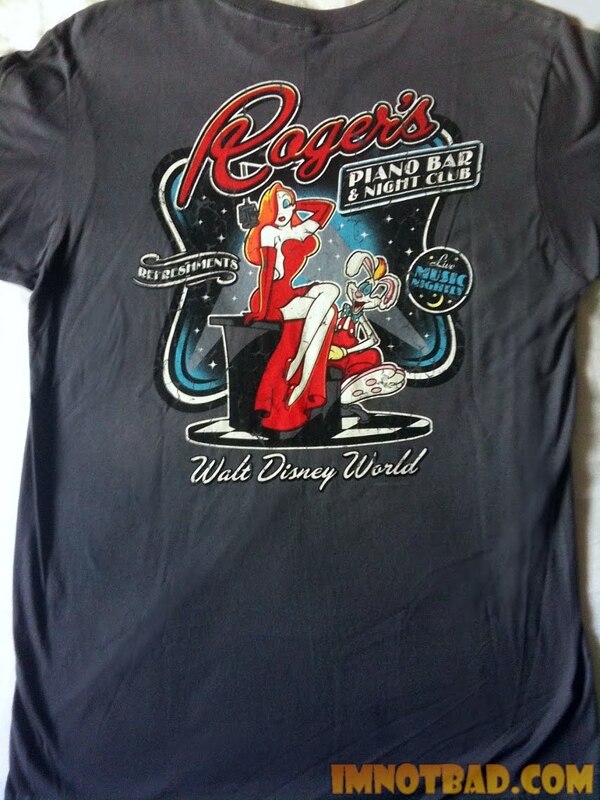 What a year this was for fans of Who Framed Roger Rabbit! The movie celebrated a special 25th Anniversary this year and proved that it's still a favorite after all that time has passed. 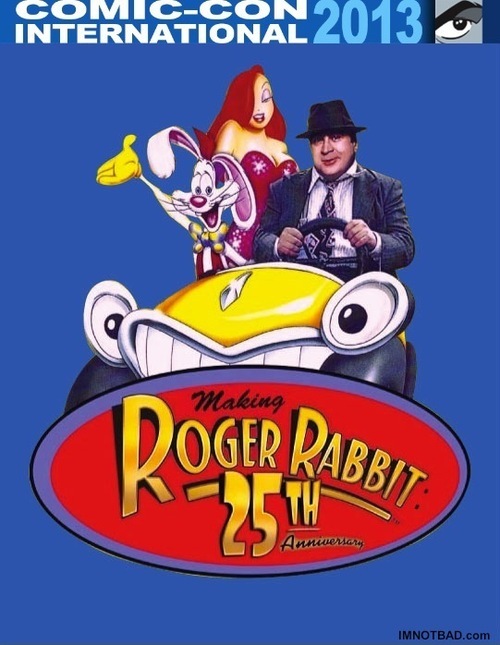 In March, a Blu Ray version of Roger Rabbit was released, and although it was the same as the 15th Anniversary DVD, it still got a lot of attention from people who had not seen the movie in a long time. There were also airings of the movie on Cartoon Network and The Hub which had people buzzing on Twitter and showing their affection for the film. The Victoria & Albert Museum in London showcased their exclusive Hollywood Costume Exhibition, featuring costumes from movies like Star Wars and The Wizard of Oz. 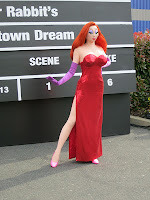 Here it was discovered that costumer Joanna Johnston created a real dress for animators to use as reference on Jessica Rabbit's movements. The costume was not on display but there were scenes of Jessica playing on a screen in the exhibit. 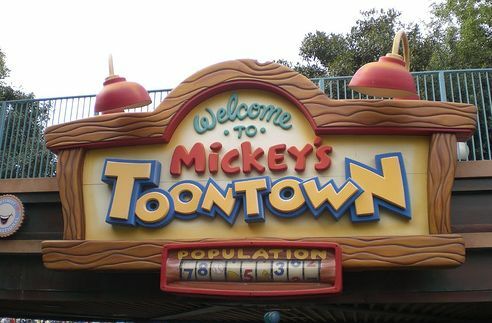 Who Framed Roger Rabbit: A Toontown Reunion was an event held by The Academy in Beverly Hills, California. Special guests included cast and crew from the film. 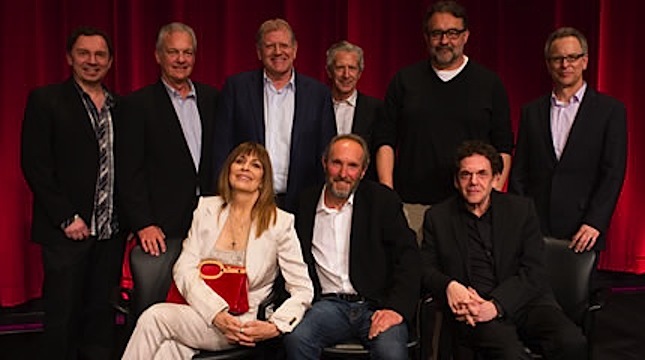 After a screening of the film, they all joined together on stage for a panel to discuss working on the project and what it took to get this movie to the big screen. 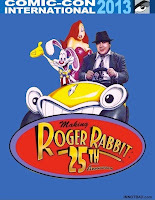 Disneyland held it's own special screening, and the Making Roger Rabbit: 25th Anniversary screening and panel at Comic-Con was a big hit with a much more in depth panel discussion which included animators from the film and the voice of Roger Rabbit, Charles Fleischer. 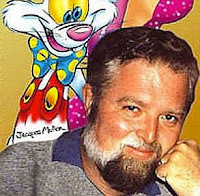 In October, The Academy honored the animation director of Who Framed Roger Rabbit, Richard Williams , with his own special event and exhibit featuring an extensive catalog of art. 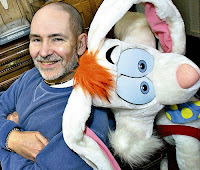 Williams spoke to the audience in detail about his work on many different projects, including Roger Rabbit. 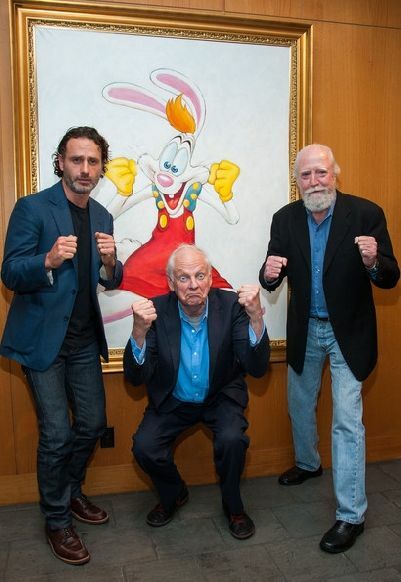 The creator of The Simpsons, and stars from The Walking Dead were on hand to watch the artist discuss his work and celebrate his impressive career. 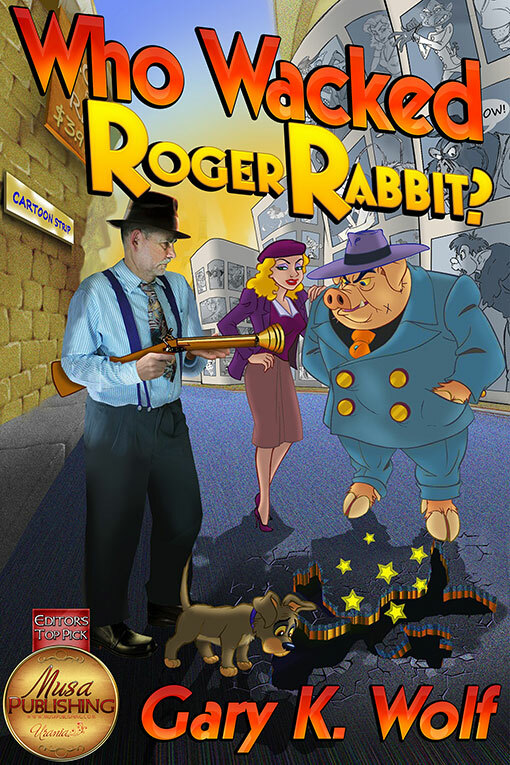 Who Wacked Roger Rabbit?, the third novel in the series by Gary K. Wolf, was released through Musa Publishing and featured cover art by Jacques Muller - an animator from the actual Roger Rabbit movie. 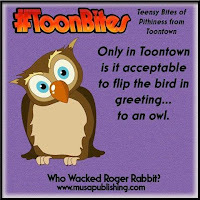 This new eBook is the first Roger novel since 1991's Who P-P-P-Plugger Roger Rabbit?, the first novel being Who Censored Roger Rabbit?, which the movie is based on. Certainly one of the most discussed happenings this year was Jessica Rabbit's Park Debut. Jessica appeared for the first time in a Disney park in Paris for the Disney Dreamers Everywhere event, which included special shows in every Disney park around the globe. While it was a huge surprise to see Roger, Eddie and Jessica included, many people weren't pleased with Jessica being a masked character, which lead to a bigger debate. Like it or not, this was at least one park appearance by Jessica, and even if there are changes made, people would like to see Jessica walking the parks in some form or another. 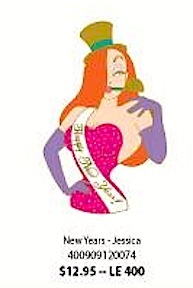 This year also marked my ten years of posting on Jessica Rabbit news. It's been a long time, but it all seemed to go by rather fast. The site reached over half a millon pageviews and there were more posts this year than ever. I also got around to making my first ever customized Jessica Rabbit dolls, which came out a lot better than I had anticipated. While the site was in full swing covering all the news, there was a very exclusive interview for ImNotBad.com with doll artist Robert Tonner, who gave us some great information on creating his Jessica Rabbit doll. 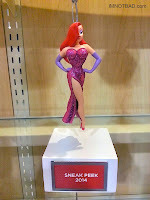 There wasn't any shortage of new Jessica Rabbit collectibles either. Britto announced their new Jessica bust which was released in the summer. 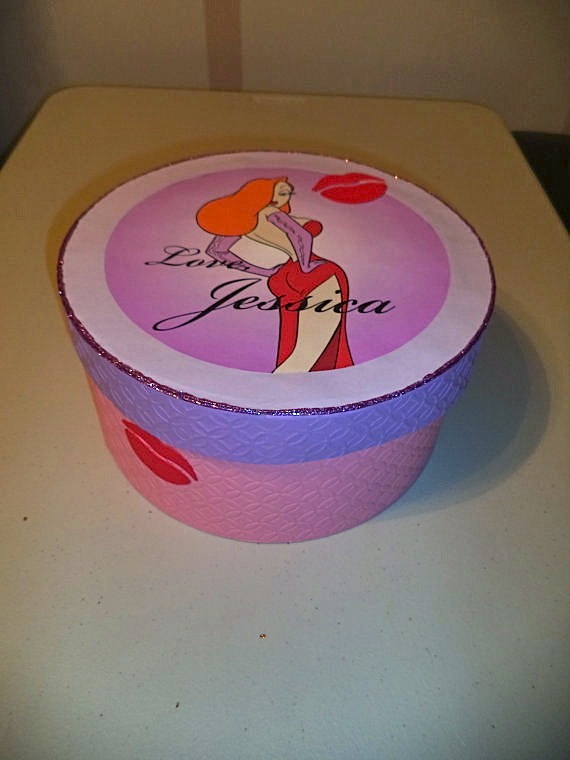 Westland Giftware produced a series of Jessica Rabbit Cookie Jars and Salt and Pepper shakers. A Jessica's Speedshop hat was released. 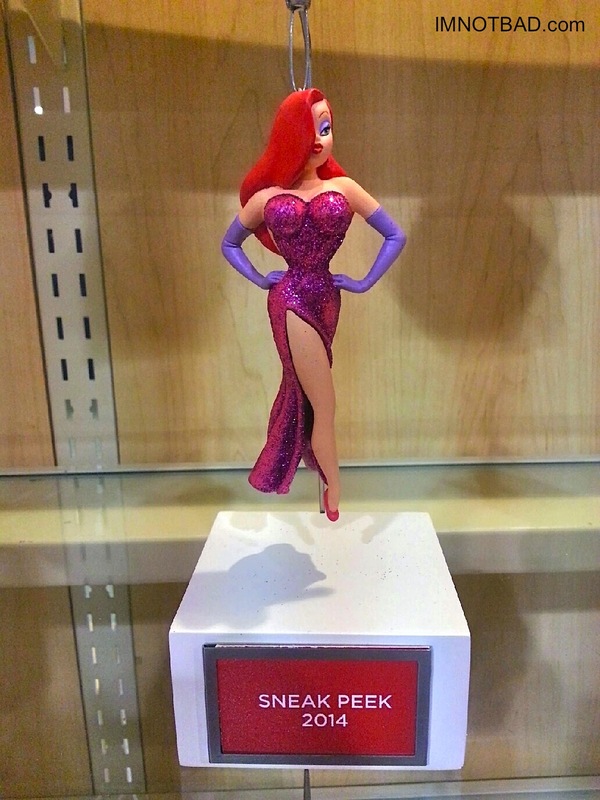 A new Sketchbook Ornament series was created by artist Steve Thompson, which included the first ever ornament of Jessica and Roger Rabbit together. 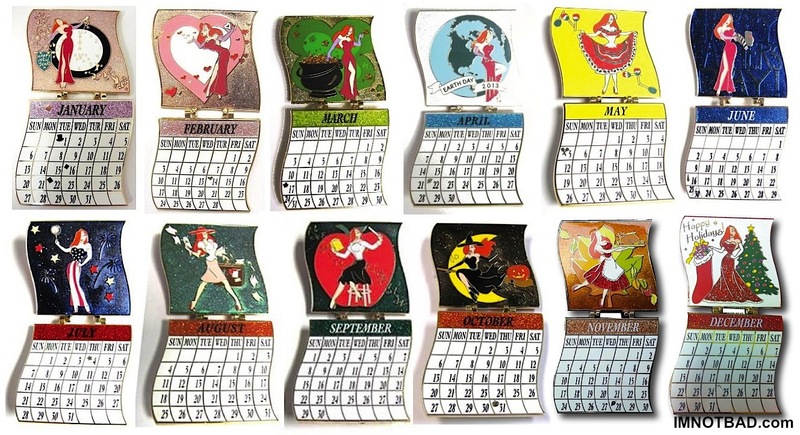 The Jessica Rabbit Halloween pins saw a big comeback at the Disney Soda Fountain, and a year long calendar pin series kept Jessica popping up every month. The D23 Convention was held this year and a Jessica and Roger Rabbit statue by Costa Alavezos was created as a 25th Anniversary piece. 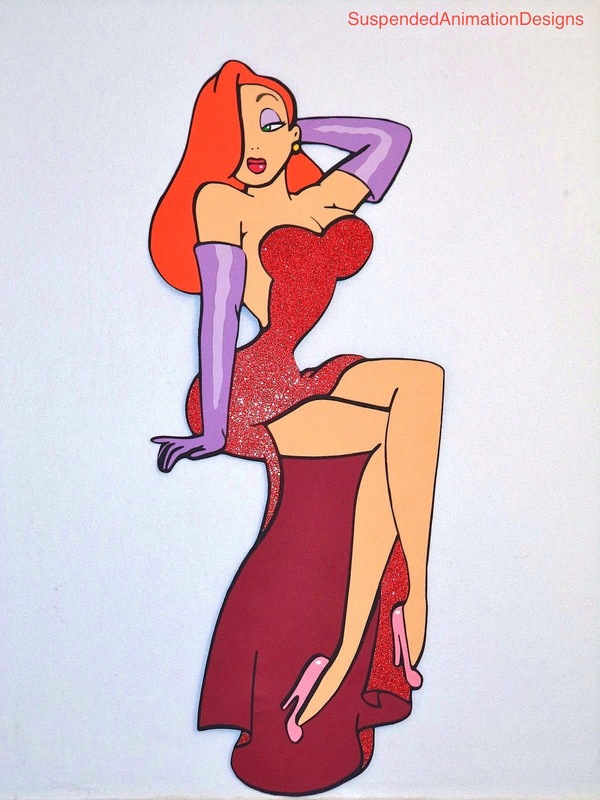 The convention also offered special items like a Jessica Rabbit Magnetic Bottle Opener, a painting by Manny Hernandez and a print of all the Disney redheads by Amy Mebberson. The Disney Designer Collection was revealed to be a series of Fairytale Princesses this year, so while we don't have Designer Jessica Rabbit again, a new series of Pop! Figures by Funko was confirmed to include characters from Who Framed Roger Rabbit. Also to come is a Jessica Christmas ornament from Hallmark. So there's still some more fun stuff on the way, even after the big anniversary has passed. Thank you for visiting the site and I hope enjoy all the info, photos and Jessica Rabbit news. Stay Tooned! 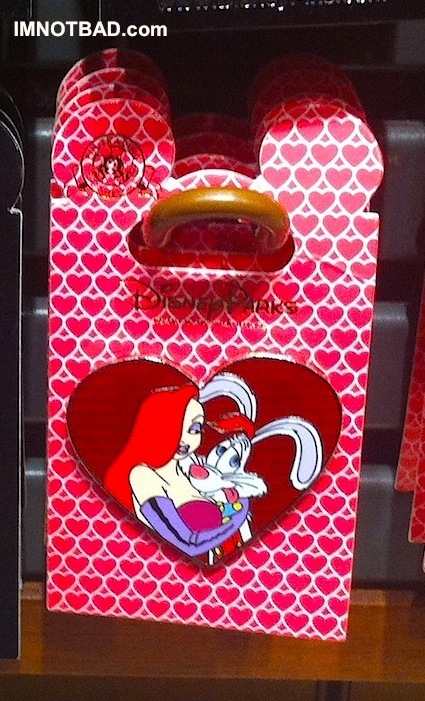 On a recent trip to Downtown Disney, I found the new Jessica and Roger Rabbit Valentine's Day pin has already been released! Jessica Rabbit is holding her honey bunny tightly, and his expression speaks for itself. They are surrounded by a heart which is clear red filled with the background metal in the shape of bricks - resembling the ending scene from Who Framed Roger Rabbit. The backer card is pink with white outlined hearts. These were originally scheduled to go on sale January 16th, but have been release early. They sell for $8.95 each and appear to be an Open Edition. 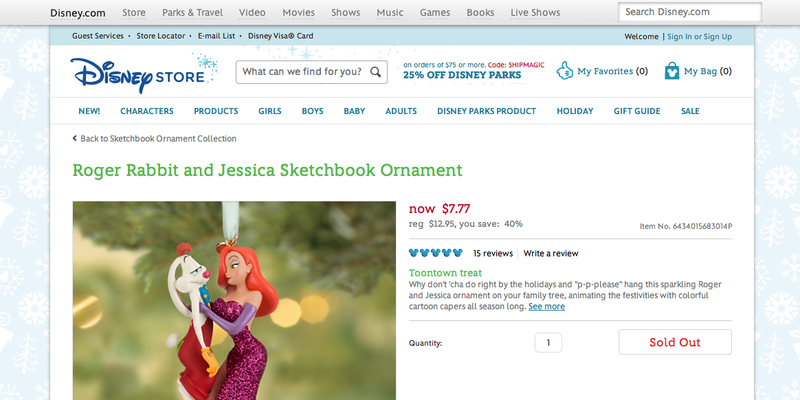 While there are a few Christmas Ornaments left from the Sketchbook Series at a sale price, the Roger and Jessica Rabbit ornament is now Sold Out on DisneyStore.com. 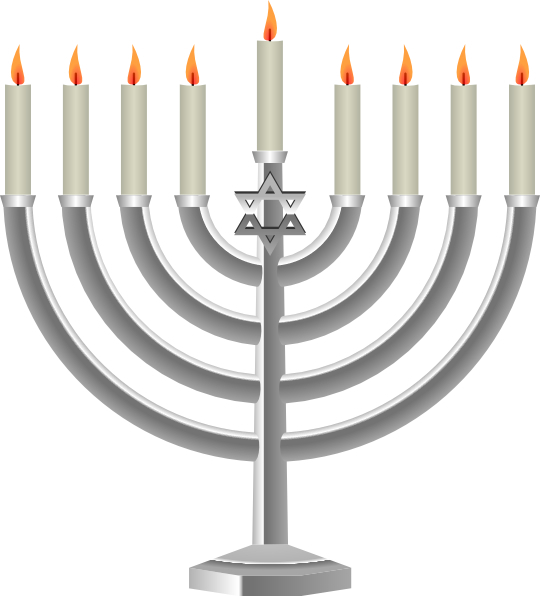 Any ornaments still available from that series are marked down to $7.77. 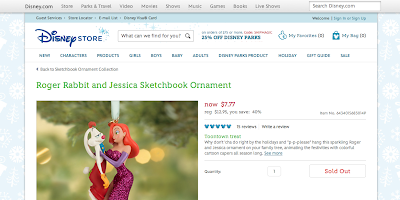 I'm not sure if the Roger and Jessica ornament reached that price, or if the photo below from the site was simply reflecting the current sale price for all the ornaments. Either way, it appears to be gone from the website now - and might only be available in Disney Store locations. I hope all you fans were able to get your hands on one, and if you haven't, check your local Disney Store for availability. 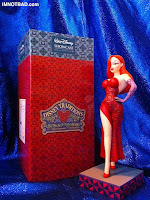 If you'd like to read my review of the Roger and Jessica Rabbit Sketchbook Ornament - CLICK HERE. Released on Friday, December 20th 2013, at the Disney Studio Store (formerly the Disney Soda Fountain) was the New Year's series featuring Cheshire Cat, Jessica Rabbit and Dopey. Jessica is in her signature dress and gloves. Her dress is glitter filled with dark pink. The top hat and noisemaker are glitter gold. She is also wearing a Happy New Year! sash. The pins sold for $12.95 and are a Limited Edition of 400 each. The magic is in the details, and a movie like Who Framed Roger Rabbit is full of little things that had to be made for the project. Have a look at this informative video (part of The Elstree Project which seeks to preserve the legacy of the "British Hollywood") with interviews from matte and roto supervisor Annie Elvin, scenic artist Ron Punter, and pops master Barry Wilkinson. These particular stories are all about the making of Who Framed Roger Rabbit and what it took to bring the movie to life. Fake beer bottles, cartoony props and painted penguins are all part of what is discussed by the very people who made it happen. 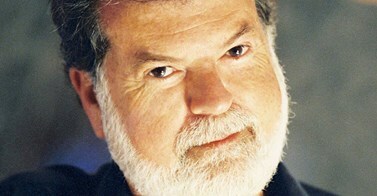 According to The Hollywood Reporter, Cinematographer Dean Cundey will receive the American Society of Cinematographers' Lifetime Achievement Award during the 28th annual ASC Outstanding Achievement Awards, which will be held on on Feb. 1, 2014. He worked as cinematographer on Who Framed Roger Rabbit, and his other notable films including Robert Zemeckis’ Back to the Future trilogy, Romancing the Stone and Death Becomes Her; Steven Spielberg’s Jurassic Park and Hook; Ron Howard’s Apollo 13. He is also still praised for his work on the original Halloween film from 1978. Slow jazz to claim blackmail by, songs to remind you your husband makes you laugh, songs to dabble in watercolors with, and songs to drink to your detective's dearly departed brother. We're bad, and we're drawn that way. There's no washing this ink off now. Click play to listen to some cool "toons" and hot jazz! Coming Soon to the Disney Studio Store (formerly the Disney Soda Fountain) will be the New Year's series featuring Cheshire Cat, Jessica Rabbit and Dopey. Jessica is in her signature dress and gloves, also wearing a top hat, a Happy New Year sash and even has a noisemaker. 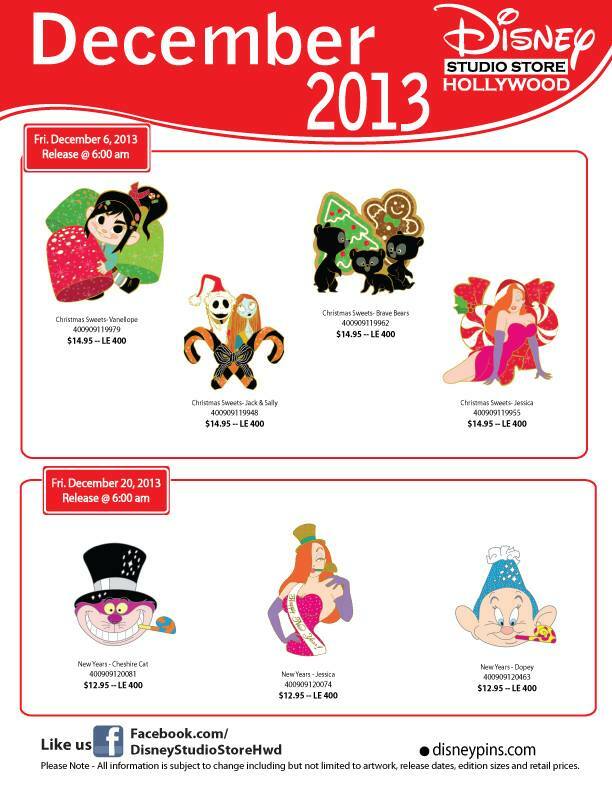 The pins will be released on Friday, December 20th 2013, selling for $12.95 and are a Limited Edition of 400 each. 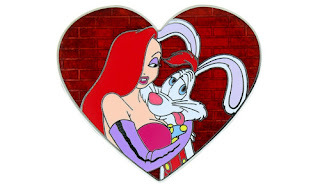 While the issue of fake/counterfeit/scrapper Jessica Rabbit pins has been quite a problem for some years now, it is not something I have ever addressed on this site in detail. Since this is A Jessica Rabbit website, I'd be remiss if I did not discuss this issue with Collectors and Jessica Rabbit fans alike. While sadly there are no authorized experts on the subject of authentic Disney Pins, there are notable differences in the real versus fake pins. Some of these pins often sell for a lot of money, so I think it would be beneficial to examine at least two different pins to compare. The Merry Mistletoe Jessica and Roger Rabbit pin was released in Disneyland on Thursday December 12th. The pin is a slider so that you can move Roger over for a smooch with Jessica under the mistletoe. Jessica is wearing a red glitter filled dress with white trim and Christmas hat to match. There are several layers here, the purple banner below is the top layer which has Merry Mistletoe 2013 printed in white, then the Roger Rabbit slider layer (note that Roger's eyelid is unfortunately not filled in here which was also shown on the preview image), and the last layer is Jessica Rabbit surrounded by a wreath with purple ornaments. It comes on a special Merry Mistletoe backer card which is a shiny glittered red. The pins are a Limited Edition of 1500 and sell for $14.95 each. This stunning artwork by Manny Hernandez, seen at the D23 Convention this summer, is now available to purchase online. Titled We're In This Together, it is unframed measuring 16" x 12" for $125 and depicts Roger and Jessica Rabbit from the climactic movie ending. The scene was originally animated by Jacques Muller, who recently gave us the cover and character art for the newly released Who Wacked Roger Rabbit? novel. You can buy it now from WordWideArt.com. On Friday December 6th at the Disney Studio Store Hollywood and Ghirardelli Soda Fountain and Chocolate Shop (formerly the Disney Soda Fountain and Studio Store) a new Christmas Sweets series was released including characters like Vanellope, Jack and Sally, the Brave bears and Jessica Rabbit. Jessica is wearing a Christmas hat and is laying in front of peppermint candies. Jessica herself is the top layer of the pin. The candy is the second layer,featuring a red glitter fill. The pins sold for $14.95 each and are a Limited Edition of 400. This holiday season, Disney has brought back its popular 23 Days Of Christmas countdown series: "a gorgeous collection of work contributed by artists from nearly every corner of The Walt Disney Company, including Walt Disney Animation Studios, Pixar Animation Studios, Disney Television Animation, Walt Disney Parks and Resorts’ Disney Design Group, Disney Consumer Products, and more." 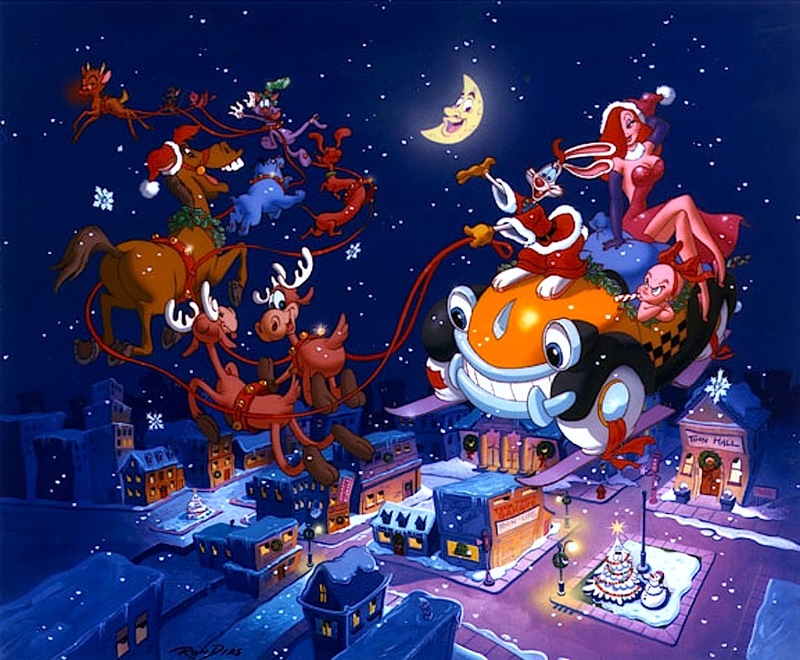 On December 5th, producer Don Hahn added some festive art of Roger and Jessica Rabbit under the mistletoe, joining a list of characters so far like Monsters Inc. Mickey Mouse, Donald and Grumpy. New art will be revealed each day. The art is only available to view by D23 Members - but have no fear, regular membership is still free! Sign Up today and you will have access to news, art and interviews. As a member, you also have a chance to enter the 23 Days Of Christmas Sweepstakes to win a lithograph of artwork from this years series! 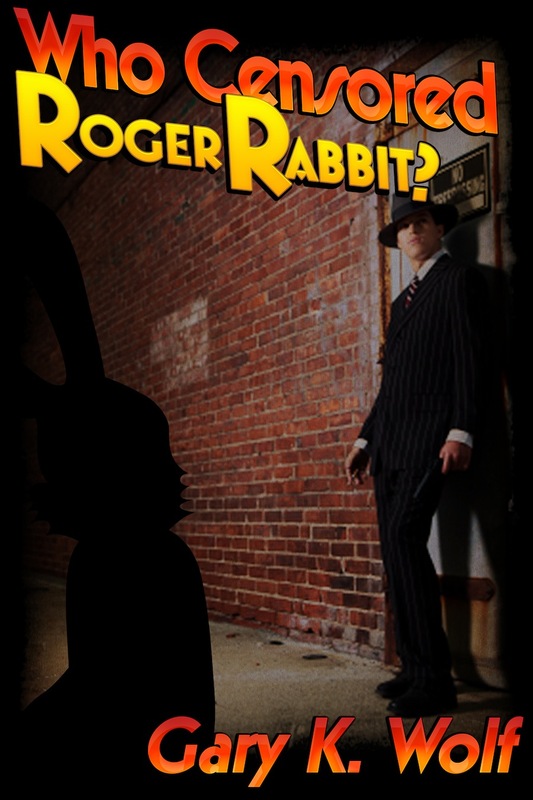 The Who Wacked Roger Rabbit novel was released a few days ago, and as you might have noticed, although it's an eBook, it was accompanied by some awesome cover artwork. You might say serendipity brought artist Jacques Muller to Gary Wolf at the right time. Gary was looking for an artist for the novel cover, and when he noticed a Facebook page with a picture of Roger and Jessica, he contacted that very person. Not only did Gary have the animation cel he saw in the Facebook profile - but the profile belonged to Jacques - who had actually animated that very scene! 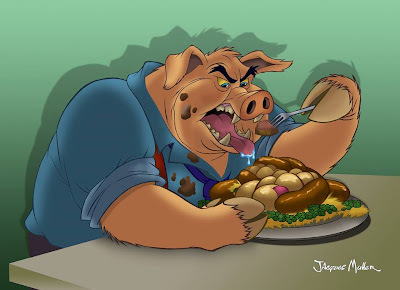 Jacques signed on to do the artwork and has given us some great images of the new characters in Toontown. For her performance in New York's Rockefeller Center for the annual Christmas Tree Lighting Ceremony, Mariah Carey charmed the audience in a holiday outfit that seems to be inspired by cartoon diva Jessica Rabbit. According to the Daily Star, she first appeared wearing a tight red dress topped with fur trim and long black gloves. Carey continued to wow the audience for a second time when she changed into a sparkling white dress and gloves for the rest of her performance. Musa Publishing, who brought you Gary Wolf's Who Wacked Roger Rabbit?, is having a Cyber Monday Sale! 50% off all books - including the newest Toontown tale. If you are a bookworm, or know someone who loves to read, now you have a chance at some great deals on a huge selection of titles. 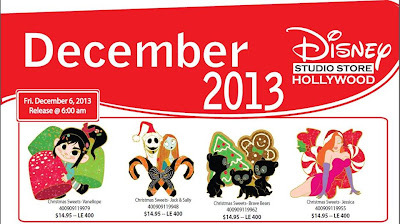 On Friday December 6th at the Disney Studio Store Hollywood and Ghirardelli Soda Fountain and Chocolate Shop (formerly the Disney Soda Fountain and Studio Store) a new Christmas Sweets series will be released featuring Vanellope, Jack and Sally, the Brave bears and Jessica Rabbit. Jessica is wearing a Christmas hat and is laying in front of peppermint candies, which look like they might appear to be glitter filled for the final pin design. The pins will sell for $14.95 each and are a Limited Edition of 400 each. 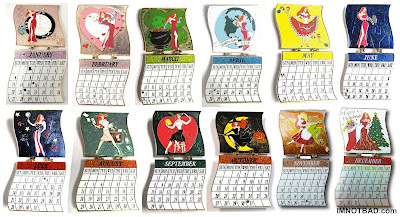 The Jessica Rabbit November Calendar Pin was released on Wednesday, November 27th, 2013 at the Disney Studio Store Hollywood and Ghirardelli Soda Fountain and Chocolate Shop (formerly the Disney Soda Fountain and Studio Store). Oddly, the Pin was not shown as being released on the Disney Soda Fountain Facebook page, so there is no usual photo from them. There are very few of these pins seen on eBay, but it looks like the release was official on that day. The front background image has a gold glitter fill. Jessica's original signature is on the right of the pin. There is also the "2013" below that and the usual half shot of her. 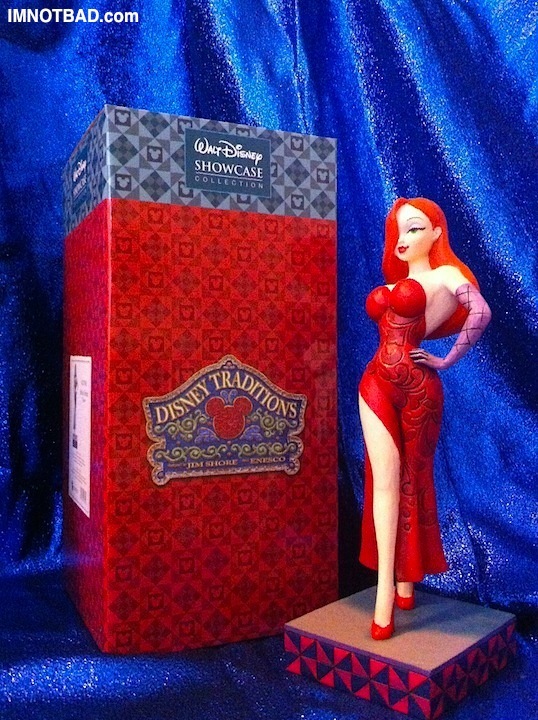 The inside shows Jessica Rabbit in a red dress with apron, holding a platter of turkey. Her dress is red glitter filled. The background is a brown or gold glitter fill with big leaves surrounding Jessica. The calendar portion is printed on the bottom half. Thanksgiving is indicated with a leaf on the calendar. The pins sold for $16.95 each and are a Limited Edition of 300. The wait is over. The time is now. 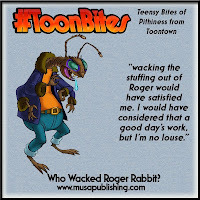 The third novel in the Roger Rabbit series, Who Wacked Roger Rabbit? by Gary Wolf has been released. It is available for $4.99 through Musa Publishing. Get your copy of this new eBook today! 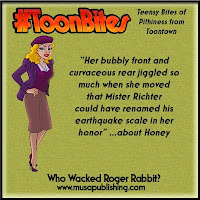 As if that wasn't enough, there is another contest going on at the Who Wacked Roger Rabbit? Facebook Page for today only - so head over there now to join in. To read my review of the new Roger Rabbit novel - CLICK HERE. The unfortunate news is going around that the Walt Disney Classics Collection line, which has been in production for over 20 years, is being retired as of this month. No new statues are in the works and whatever is left on the shelves is all that remains. The WDCC line started in 1992 and became a beloved tradition of sorts for many collectors. Over the years they have produced countless characters into high quality statues which were found in the parks or through dealers. The line became increasingly popular and as the character selection widened, so did the interest.